It's another new one in bloom! Also purchased on eBay, this is 'Lady Friend'. The success I've had with these eBay purchases is encouraging me to buy more this fall. Today I don't have to work much, so I'm heading off to some nurseries I've never visited. Doubt I'll buy much if anything, but it's still fun to look. 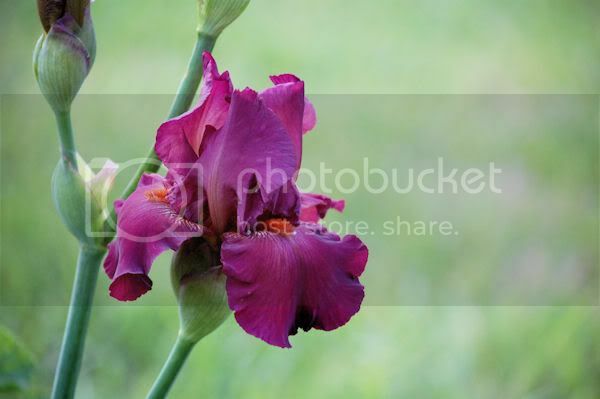 I never thought about buying some Iris on eBay, might have to try that this fall also. 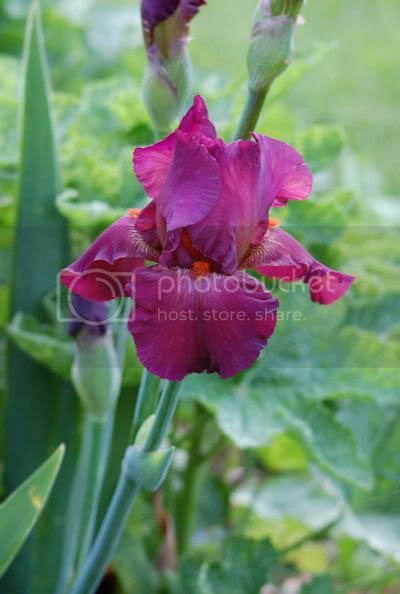 Eventually I want to have Iris blooming from Feb through the summer instead of just in April. Have fun at the nurseries. Wow! I love the color on this one also. Have fun looking today, maybe you'll surprise yourself and find something you can't live without. Pianolady--That color is incredible! I love iris and have several, but have trouble with iris borer. Do you? Oh boy I love the colour of that iris. Absolutely stunning. Thanks everyone. Is far as I know, I'm not having trouble with iris borer. I do have trouble with moles pushing up my bulbs some years though.